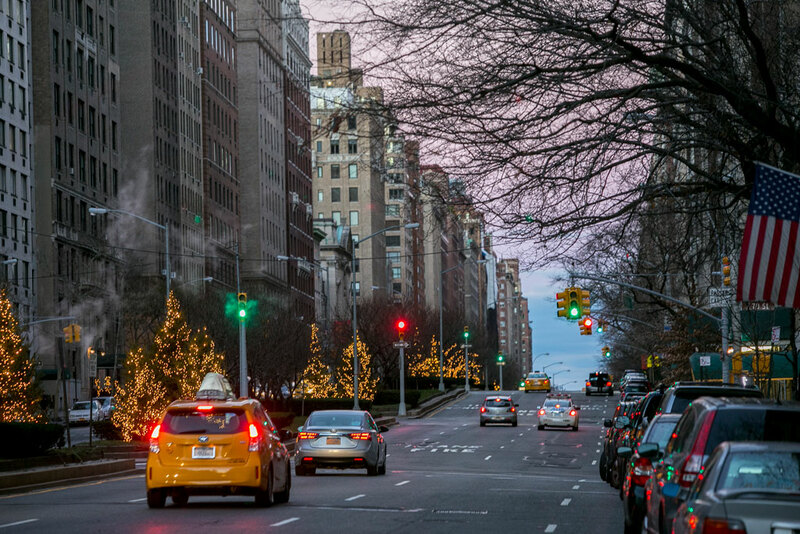 NEW YORK—The streets of Park Avenue were quiet and tidy. A doorman on the west side of the avenue caught a glimpse of an empty cardboard box ditched on the sidewalk and he quickly ran up to toss it away. Few tourists lingered around the mostly residential area. Christmas is an especially peaceful affair. “I would say it’s the most quiet day of the year,” a doorman, who commutes from the Bronx, said, who asked to remain anonymous out of concern for his job. He travels to work in the morning via the Lexington green line, which is usually the most congested in the city. “Not today,” he said, laughing. I would say it’s the most quiet day of the year. The trees that line the blocks were once admired by Eleanor Roosevelt as she drove down Park Avenue Christmas evening to view “the long stream of light,” she wrote in a column in 1958, made by the decorations. In broad daylight, the trees are not as illuminating, but their roots are covered by festive tree trimmings. 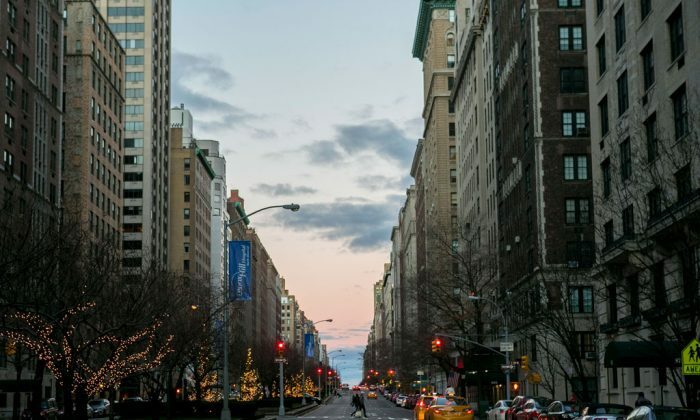 Some people do invite guests over for Christmas dinner, but those are mostly small gatherings, said some Park Avenue doormen. The men work from morning to afternoon but can see their families in the evening. Steve, a nearby building attendant, emigrated from Yemen in the 70s, and has celebrated the holiday since. He didn’t mind working Thursday as he receives extra pay. A common sight Christmas morning was people walking their dogs. 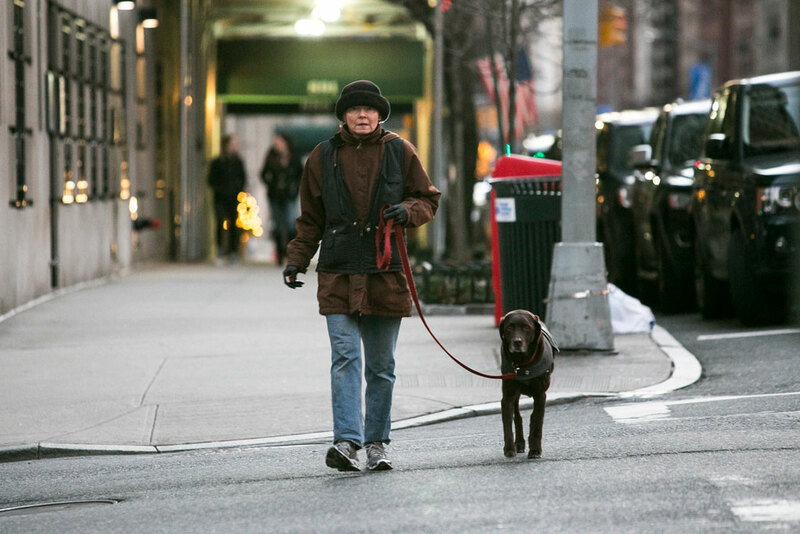 But on Park Avenue, dog walkers are hired to walk residents’ dogs. James Silva, 41, who lives further uptown, walked three large, fluffy dogs down the avenue toward Central Park. The white dog’s name was Ginger, the greyish brown one was called Chili, and the golden one was Bella. Each dog has a different walking fee, and Silva walks them twice around a route for one hour. The three dogs belong to 840 Park Avenue residents, said Silva as he edged away from the building to keep walking. Dogs, people hurrying through the cold by foot or to hail a cab, tourists, and bustling restaurants were the only signs of life on a day when most stores were closed. “There’s not much going on,” said Paul, another doorman on Park Avenue, who resides in Westchester County. Eight years ago, Council member Andy King and his wife Neva Shillingford–King wanted to do something for the children in their neighborhood in the Northeast Bronx. Christmas is Thursday, and here’s a list of stores that aren’t open. The vast, vast majority of big chain stores--like Walmart--will be closed for the holiday.